For some added modern style in your bathroom, choose this beautiful vanity. With a white artificial stone counter and grey solid wood base, this piece is very stylish. Put a classic feel in your bathroom with this good-looking set from Wyndham Collection. Use this vanity to bring more modern style into your bathroom. With a white artificial stone counter and grey solid wood base, this product is good-looking and useful. With drawers and double-door cabinet, this vanity set is also great to keep items in. Redo the style of your bathroom with this classic from Wyndham Collection. 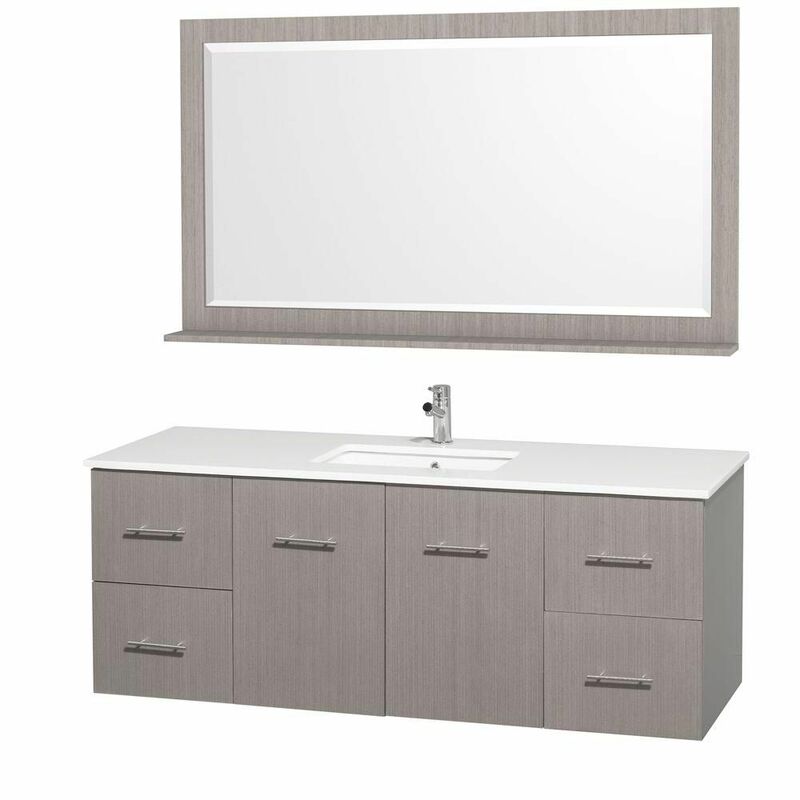 Centra 60-inch W 4-Drawer 4-Door Wall Mounted Vanity in Grey With Artificial Stone Top in White For some added modern style in your bathroom, choose this beautiful vanity. With a white artificial stone counter and grey solid wood base, this piece is very stylish. Put a classic feel in your bathroom with this good-looking set from Wyndham Collection. Centra 60-inch W 4-Drawer 4-Door Wall Mounted Vanity in Grey With Artificial Stone Top in White is rated 5.0 out of 5 by 1. Rated 5 out of 5 by bubba from Shipping process could be most better but the product looks... Shipping process could be most better but the product looks great and was easy to install.